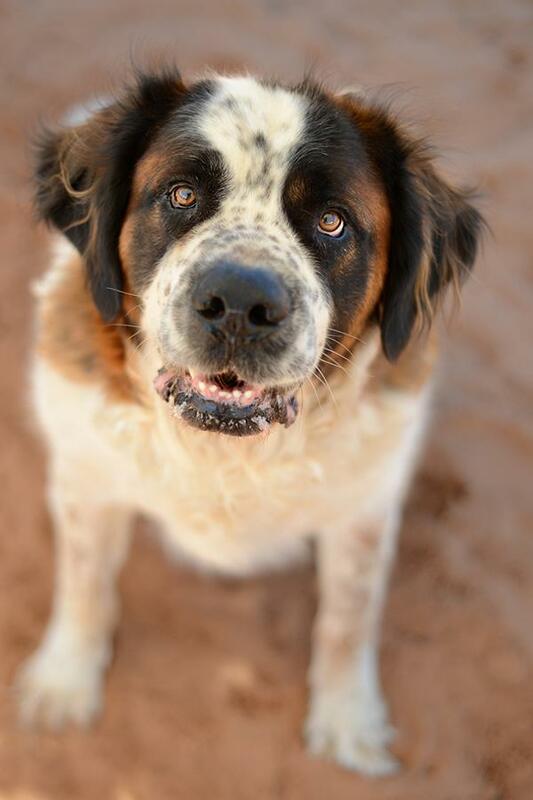 ST. GEORGE – Last year, nearly 12,000 dogs and cats died in Utah shelters simply because they couldn’t find a suitable home. Best Friends Animal Society has joined 36 animal shelters and rescue groups, along with community members, to create the No-Kill Utah statewide initiative to eradicate the killing of shelter pets by 2019. During the first year of the initiative, Best Friends will invest nearly $1 million, including $723,000 in general program expenses and $272,000 in marketing and advertising costs, to help reach that goal. “NKUT represents the final push to bring Utah’s animal organizations and pet-loving Utahns together to reach the goal of making Utah a no-kill state,” public relations specialist Temma Martin said. The initiative was officially announced by Best Friends CEO Gregory Castle at a community event held March 30 at The Leonardo in Salt Lake City. Mike Mower, deputy chief of staff for Gov. Gary R. Herbert, and Salt Lake County Councilman Arlyn Bradshaw attended and spoke in encouragement of establishing Utah as a no-kill state. “It’s a very worthy aspiration and I fully support it,” Utah District 74 Rep. V. Lowry Snow said. NKUT is an expansion of the No More Homeless Pets in Utah coalition, which includes H.A.R.T. (Homeless Animal Rescue Team), P.A.W.S. (Providing Animals with Support) and the Humane Society of Utah. When Best Friends established the original coalition in 2000, approximately 46,000 dogs and cats died each year in Utah shelters. As of 2013, that number has decreased to around 18,000 per year and a collective save rate of 71.5 percent. The goal of NKUT is to reach a 90 percent save rate statewide, meaning that 90 percent of animals in shelters find a home; the other 10 percent are euthanized due to severe medical or behavioral issues. Accomplishing this would make Utah the second no-kill state in the country, along with New Hampshire. The various organizations in the coalition have facilitated approximately 261,000 spay/neuter procedures and 112,000 adoptions since 2000. 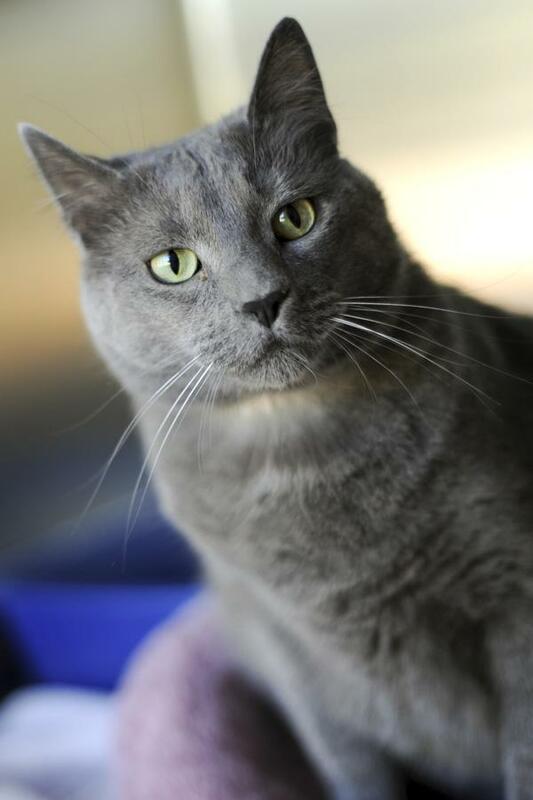 Numerous facilities – among them Salt Lake County Animal Services and West Valley City Animal Services, the largest animal shelters in Utah – now observe the no-kill policy. Washington County and 22 other communities have already achieved a 90 percent save rate. Both NKUT and No More Homeless Pets in Utah are community-based initiatives, with no backing from for-profit organizations or the legislature. Cooperation between groups like Best Friends and the public is key to the continued success of the no-kill mission. 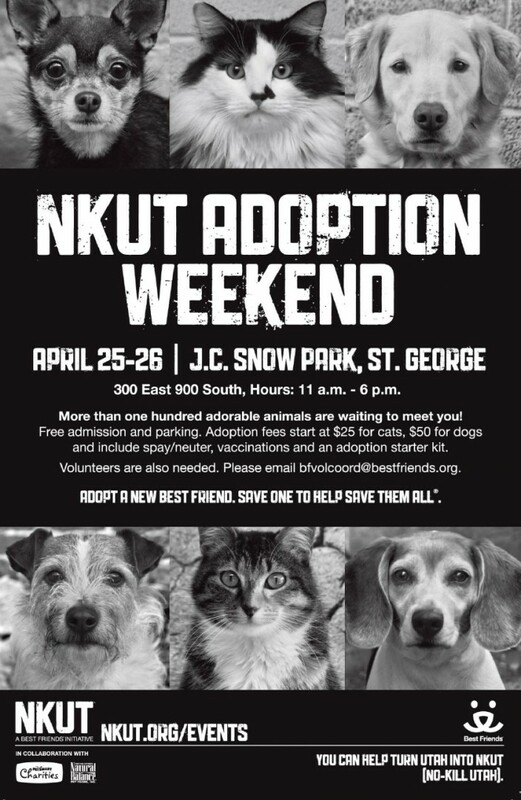 This Friday and Saturday, Best Friends is hosting the NKUT Adoption Weekend in St. George at J.C. Snow Park. From 11 a.m. to 6 p.m., more than 100 puppies, kittens, dogs, cats and bunnies from local animal shelters and rescue groups will be searching for their forever homes. 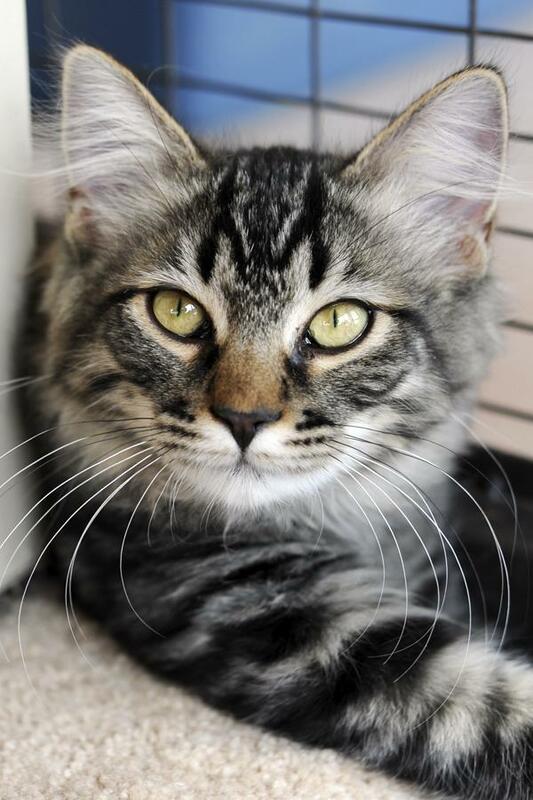 Adoption fees start at $25 for cats or $50 for dogs and include spay/neuter, vaccinations and an adoption starter kit. Promoting and increasing adoption, and reducing the amount of animals that end up in shelters through responsible pet ownership, the community can help Best Friends and its partners reach the no-kill goal in many ways large and small. Find more ways to get involved at nkut.org. When: Friday and Saturday, April 25-26, from 11 a.m. to 6 p.m.
How is this different from the “No More Homeless Pets-Utah” project that Best Friends started years ago?